I don't have pictures of all the things I ate, because sometimes I was so hungry that I already started to eat and forgot to take pictures first. Some of the food were really delicious, so be sure to keep reading. 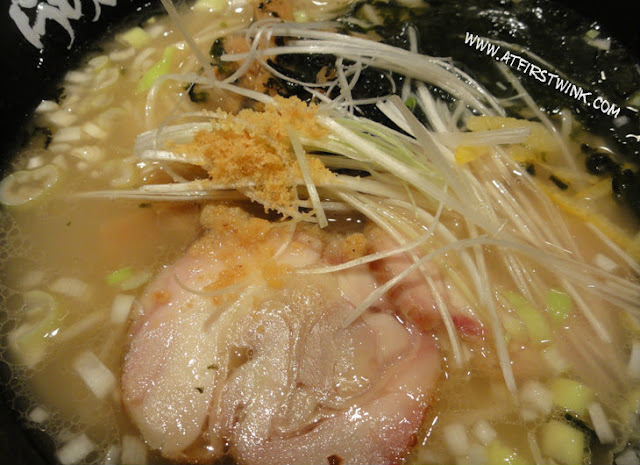 In the underground area of Shinjuku station, there is a large variety of small restaurants. I entered one where they sell simple rice sets. They had plastic food models placed in their windows, so I could just point at the dishes I wanted. How much did it cost? These lunch sets cost between 1200-1400 yen. What did I order? 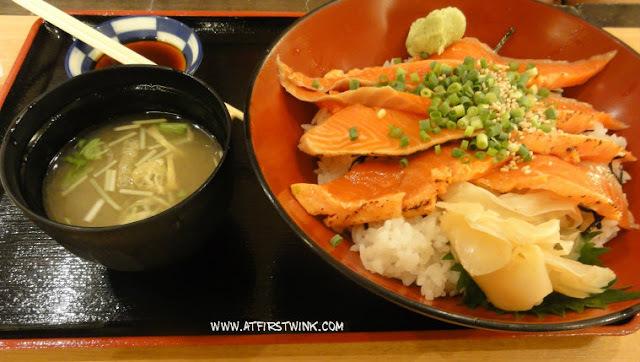 The first set was rice bowl with salmon slices slightly seared on the outside and a miso soup. 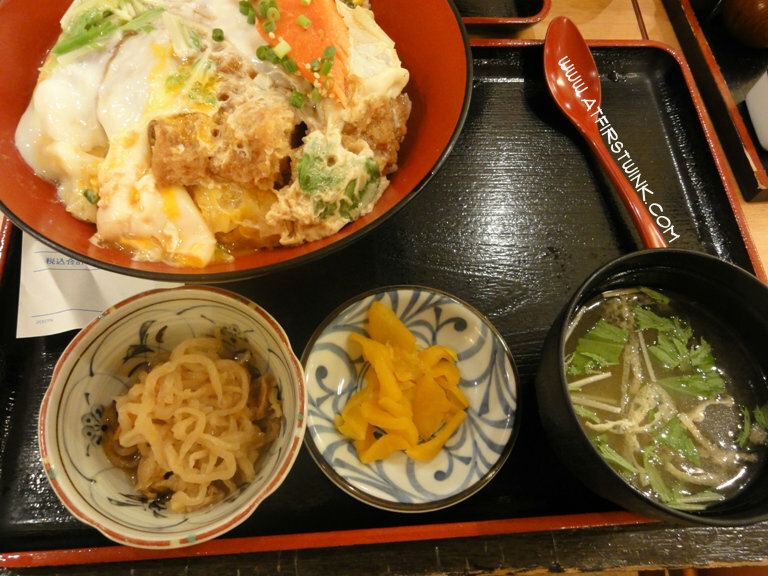 The second set was a pork katsudon with a egg on top and pickled vegetables as well as miso soup as side dishes. Each table gets a jug of iced barley tea and it will be refilled for free. My opinion: The katsudon was a bit of a let down as the egg has made the crispy layer on the fried pork cutlet become very soggy. I have tasted some of the salmon and it was really good. The tables were very small and the restaurant guests consisted mainly of office workers. I don't recommend eating here when you are carrying a lot of big (shopping) bags or when you want to sit down and eat leisurely. People there seem to come in, eat, and leave within an instant. The long waiting line outside during lunch hours, also makes you want to stand up and leave right after finishing your meal. 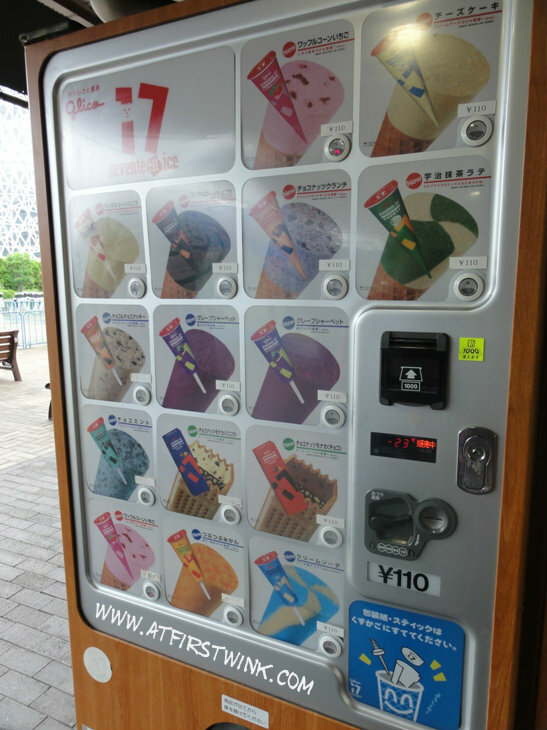 On the roof of the Keio department store (Shinjuku), where there is a playground for children and a small aquarium/pet store, I found a vending machine for icecream cones. What did I get? 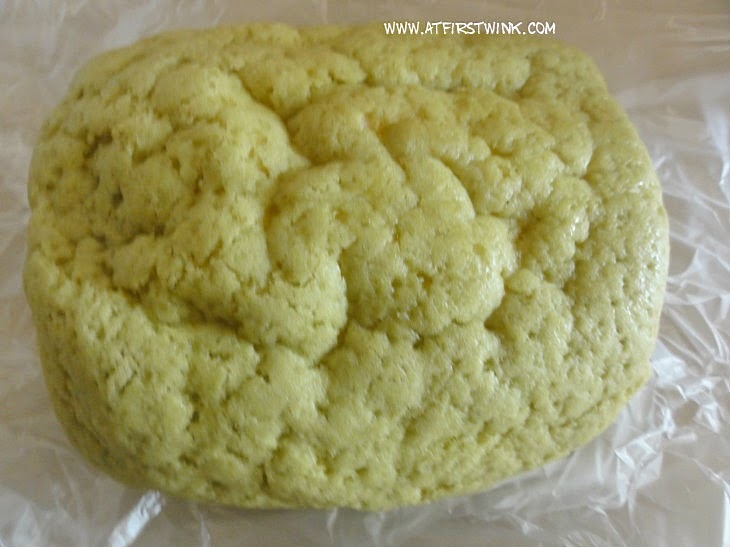 The green tea and vanilla mix. The sixth choice, when you count from above and go from left to right. My opinion: The vanilla taste was strong and the green tea flavor was very delicious. The cone is however a bit on the small side, probably because it is meant for children. The plus side would be, less calories. 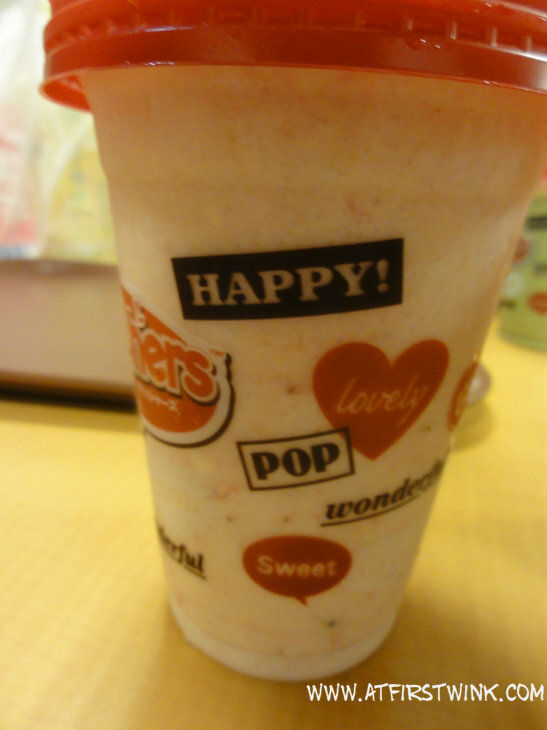 :) Too bad, I did not get to taste the other flavors. KFC Krushers in the flavors Strawberry Cream and Green tea azuki. One time, I was walking around in Tokyo and I wanted to get something to drink and to have a small snack. I walked into a KFC restaurant and I saw they had Krushers in special flavors. What did I get? Strawberry cream and Green tea azuki. My opinion: The strawberry cream flavored Krusher has big chunks of fresh strawberries in them and it was very filling. The Green tea azuki one was really delicious. It is like a green tea milkshake with soft red beans in it. I also ordered a large carton box of fries for 1000 yen. The fries were in thick slices and they had a good potato flavor, but it was quite expensive. I found a bakery, which was selling delicious looking buns in the Shinjuku station. I bought a few to take back to the hotel as a late night snack or breakfast. 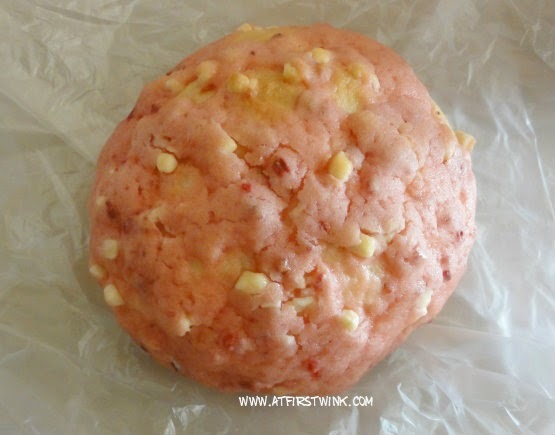 Strawberry bun with white chocolate chips. I like the strawberry bun with the white chocolate chips the most. The bread had a slightly sour taste from the strawberry flavor and it was also a little bit sweet from the white chocolate chips. 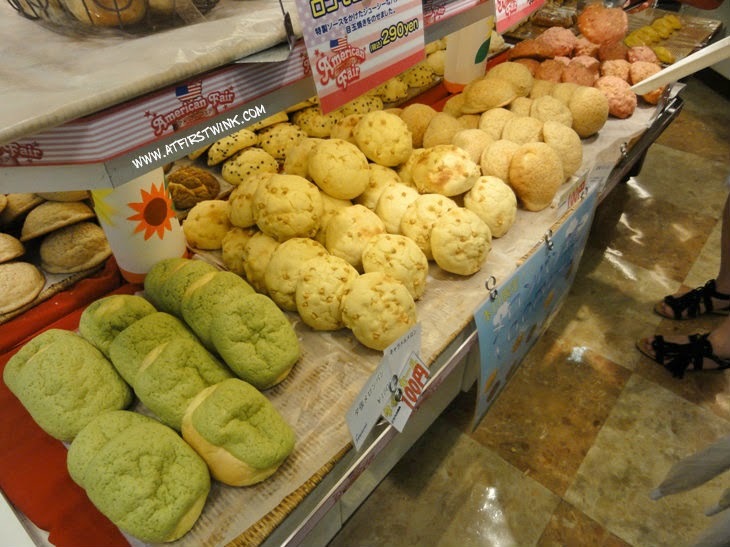 The green tea bun had a really light taste, which was hard to define. I think with a cup of tea this would have tasted better. 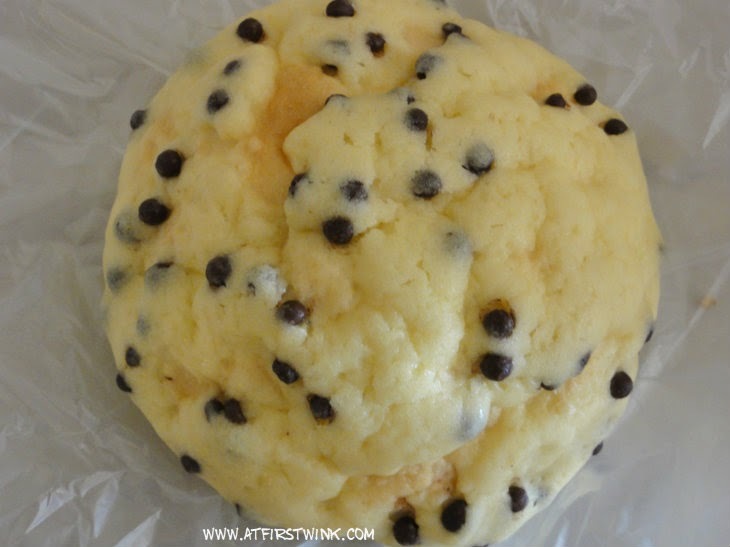 The chocolate chip bun had the least flavor, I expected the chocolate taste to come out the most but it really had a subtle taste. On the east side of the Shinjuku station, there are many streets with places to eat. I found a ramen store, which had a ticket machine in the front. You are supposed to put money in the ticket machine and press the button with a small picture of the ramen that you would like to order. After you take your ticket, you find a place to sit and give the ticket to the waitress. 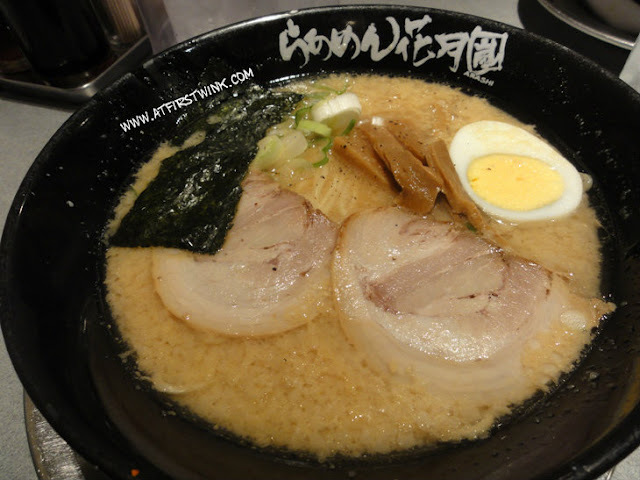 You can find the link to the website of Ramen Kagetsu Arashi over here. What did I get? Two bowls of Char siu ramen with different broths. One was oilier than the other. Close up of the delicious pork and soup. My opinion: The noodles were really deliciously chewy and the char sui pork was soft and tender. The waitress was also very helpful, when I could not figure out how to order side dishes on the ticket machine. I got a small vegetable side dish for 100 yen. I would definitely come back.